The resources on this page are a good starting point to help you find professional learning opportunities. This list should not be considered exhaustive and you are encouraged to take ownership of your learning by seeking out further activities that are both interesting and relevant to your specific circumstances. Please note that the resources on this page are suggestions only, they are not endorsed by the Board, and not all of them may be relevant or accessible to your teaching context. If you have any questions about a specific professional learning activity you should contact the provider for more information. Videos, PowerPoint slides and other resources from previous Board conferences and workshops are on the Event Calendar page of the website. If you are employed in one (or more) of the following sectors, there may be further resources available in addition to any professional learning opportunities already offered at your school/site. The Council of Education Associations of South Australia has compiled a list of their affiliate professional associations for teachers of specific learning cohorts, content areas/specialisations, and other aspects of the profession such as school leadership. Browse the list of associations on the CEASA website. The following South Australian higher education providers offer postgraduate study programs as well as public lectures, workshops and conferences on a range of topics. You could also explore study programs and resources available from higher education institutions outside of South Australia. Please note training offered by the SA teacher unions may only be available to current members. Australian Institute for Teaching and School Leadership – see the Illustrations of Practice page on the AITSL website for videos of teachers demonstrating their practice at each of the career stages of the Australian Professional Standards for Teachers. There are many more websites like the ones listed above – try Googling a teaching topic you are interested in learning more about! Your local library can be a great resource for accessing free professional reading. In addition to books, DVDs, and other resources many libraries have free internet and computing facilities and may offer online resources such as training modules and subscriptions to academic journals or databases. Check with your local council for any events available to community members in your area e.g. computer and portable device training. 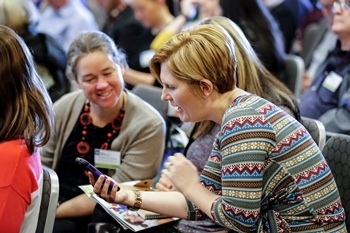 Network with other teachers to share professional learning opportunities. If you are a TRT, check if a host school/site has room for you to attend their professional learning activities – the answer won’t always be ‘yes’ but it is worth asking!